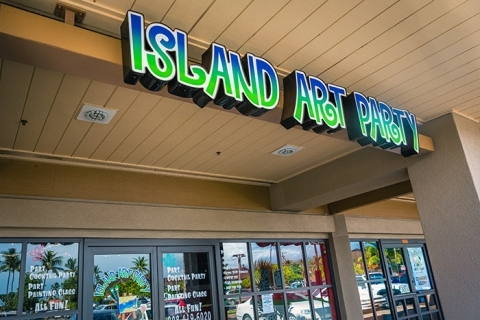 Maui's only paint and sip studio. Come join the party - it's so much fun! No experience needed. Discounts for kama'aina and military. Hours: Classes run Tuesday to Friday at 7pm and Saturday & Sunday at 2pm and 7pm. Open addtl times for private parties.